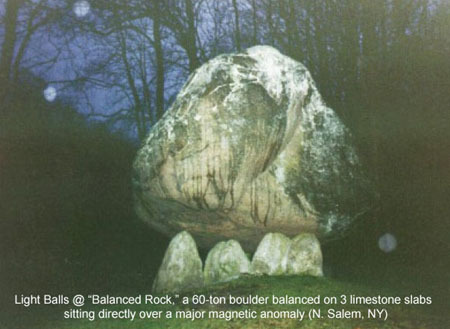 DID THE BUILDERS OF MEGALITHIC MONUMENTS KNOW THIS SECRET? A recent book, Seed of Knowledge, Stone of Plenty, by John Burke (the "B" in "BLT Research Team") and his colleague Kaj Halberg (Council Oaks Books, 2005: ISBN #1-57178-184-6 and ISBN #978-1-57178-184-0) presents scientifically documented evidence that the old-world engineers who built the massive henges, pyramids, mounds and dolmen of the ancient world may well have understood a true secret—lost to modern man until now. 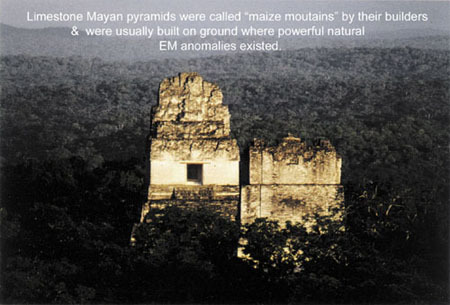 The authors show that these structures were overwhelmingly sited at locations where the local geology magnified naturally-occurring electromagnetic fluctuations in the earth's crust and, further, that pyramidal and corbel- roofed stone structures erected at these locations enhanced this effect. Additionally, they reveal that indigenous seeds, when placed at these locations (for various periods of time, depending upon the type of seed) show significant increases in growth rate and yield when subsequently planted—as well as increased resistance to plant stressors (lack of sunlight and/or drought conditions). Such results would have been of enormous importance to ancient peoples and the authors suggest that the monument-builders not only knew these facts, but deliberately chose these sites and structure-shapes in order to insure their culture's food production. Burke and Halberg conducted instrument surveys at various old-world monuments such as the King's and Queen's Pyramids in Tikal, Guatemala, and at Olmec mounds and various other monuments of the pre-Incan civilization at Tiwanaku on the shores of Lake Titicacca, as well as at English henges and at the oldest megaliths in the world (circa 4,800 B.C.) at Carnac, in the Brittany section of France. 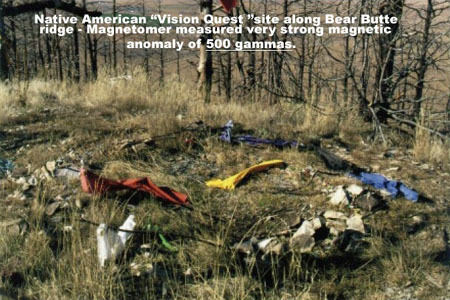 Magnetometer surveys were also carried out at many American Indian "vision quest" sites, some of which are still in use today by Native people, and the readings obtained at these sacred sites were among the highest found anywhere. People interested in the crop circle phenomenon will be familiar with some of the photographic anomalies obtained during this project: "ball of light" (BOL) and other light anomalies similar to those regularly obtained in and around crop circles all over the world. 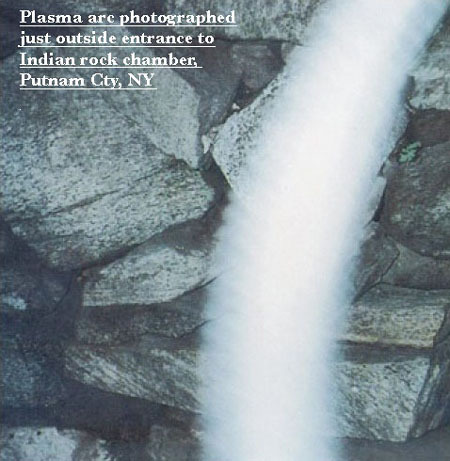 But they may be unaware that stone structures, particularly when built in a conical or pyramidal shape over a naturally-occurring EM hot-spot, concentrate these energies—resulting in intensified electric charge in the surrounding air and, under certain conditions, BOLs and plasma arc discharges. Also familiar to individuals who are aware of the scientific research conducted on crop circle plants is the fact that seedlings grown from seeds taken from plants inside the formations regularly exhibit abnormal growth patterns, relative to control seedlings: [www.bltresearch.com/plantab.php, item #5 (a)(b)(c)(d)]. We know that when crop circles occur early in the growth season the seeds from these plants show significantly retarded growth habit. 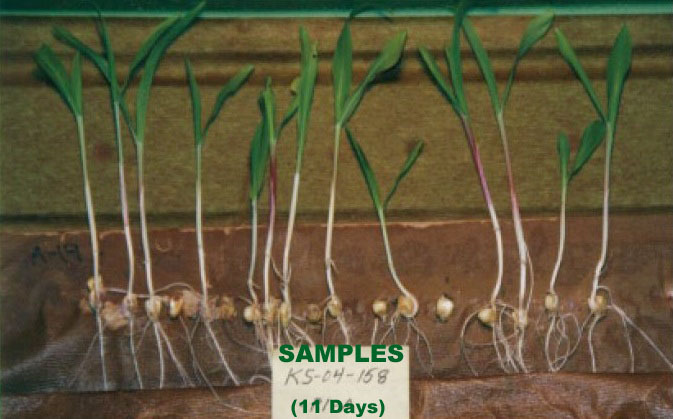 Of perhaps greater interest is the fact that seedlings grown from seeds obtained from late-season crop circles show not only a marked increase in growth-rate, these plants produce greater yield than the controls, in conjunction with increased resistance to "growth stressors" (lack of sunlight and/or water). 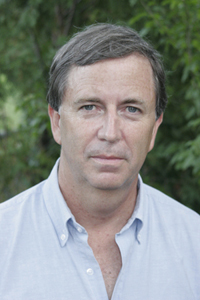 Following the discovery of these germination and growth changes in crop circle plant seeds, research carried out by W.C. Levengood and John Burke eventually resulted in the development of a non-chemical, non-genetic technology which stimulates normal seeds to produce beneficial antioxidants. This MIR StressGuard process improves the seedlings' ability to withstand free radicals, resulting in the same increased growth rate and yield, and increased resistance to plant stressors, with no harmful environmental consequences. And so it is extremely interesting to learn that Burke and Halberg's experiments with seeds indigenous to each specific location studied produced similar results. Seeds placed on top of the "Lost World" pyramid at Tikal (below) show increased growth-rate relative to their controls. 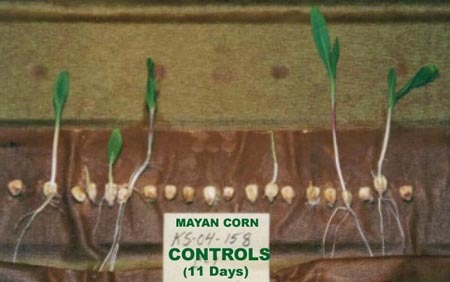 Contemporary Mayan maize seedlings (@11 days) grown at Tikal. 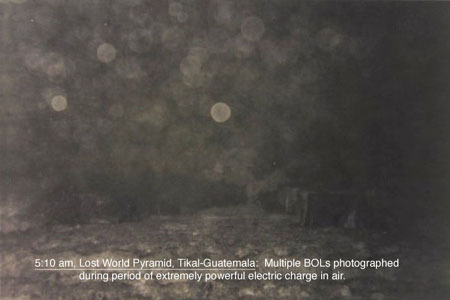 Samples had been placed on top of the "Lost World" pyramid on a morning with extremely powerful electrical activity. 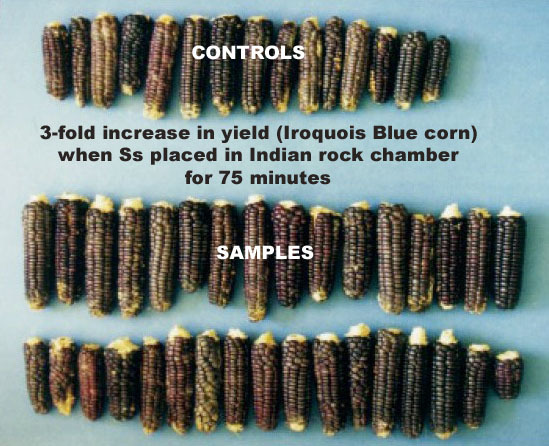 Below, forty seeds of "Iroquois Blue Flint" corn which had been placed inside a Native American rock chamber with highly magnetic stone roof-slabs not only grew almost 100% faster than 40 controls, they produced three times as much corn, by weight. "a direct connection between the world of the shaman and […] scientist"
"an entirely new way to look at ancient engineering marvels"
"the results are clear and compelling"
"one new fact after another"
"Utterly fascinating. These ideas provide a new and groundbreaking approach to understanding the mysteries of ancient megalithic stuctures. "John Burke's unusual background in physics and agriculture [his cropcircle work with the BLT Research Team and subsequent collaboration with W.C. Levengood on the MIR Stressguard process] allowed him to see what no one else has before: a practical purpose for the imposing stone structures that amaze and baffle us today. Along with co-author Kaj Halberg, Burke set out on a journey of scientific exploration, which resulted in experimental proof of his original theory. This theory describes a technology of the ancients only now rediscovered. 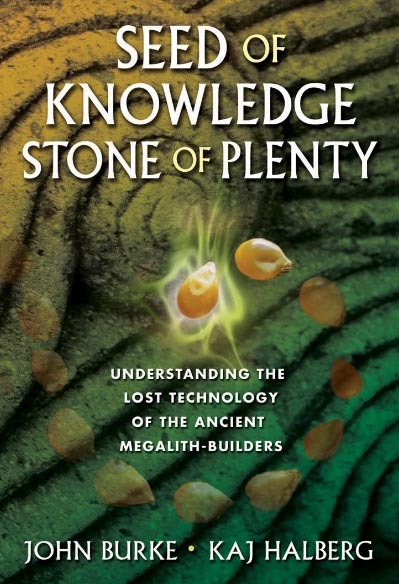 "From North and South America to Great Britain and beyond, 'Seed of Knowledge, Stone of Plenty: Understanding the Lost Technology of the Ancient Megalithic-Builders' takes the reader through the process of discovery, invites the readers to see the evidence and even participate themselves. Two appendices give location listings of the sites readily accessible in the United States, Canada and Great Britain, along with do-it-yourself instructions on how to replicate Burke and Halberg's experiments." Available in many bookstores and at amazon.com.